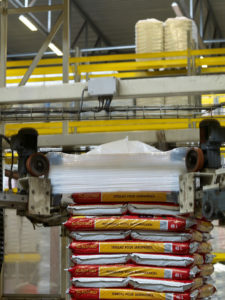 Stretotheen® stretch wrapper is used on automatic pallet packaging lines. The advantage of stretch wrapper is that no heat and expensive energy is required in order to stretch the film around the pallets. There are particularly high demands made in terms of elasticity.